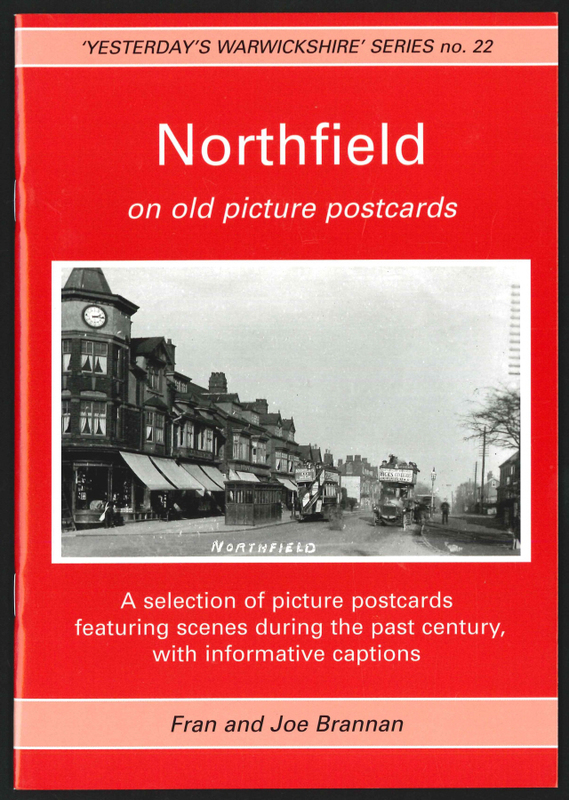 "The ancient parish of Northfield grew gradually to become the busy suburb of Birmingham that we see today. Before 700 AD, this area was part of the Forest of Feckenham with the River Rea running through; then Anglo-Saxon travellers settled there. 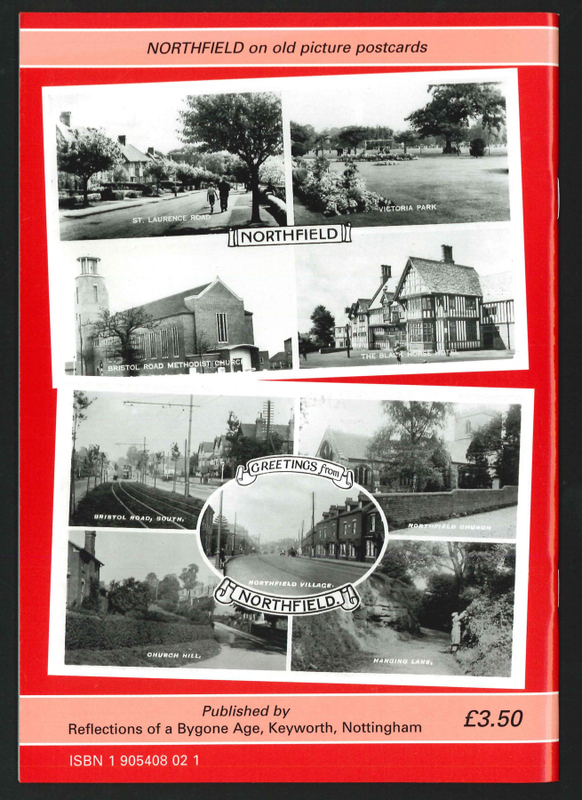 By Norman times a church had been built and 'Nordfeld', in the ancient hundred of Came, was referred to in the Domesday Book". 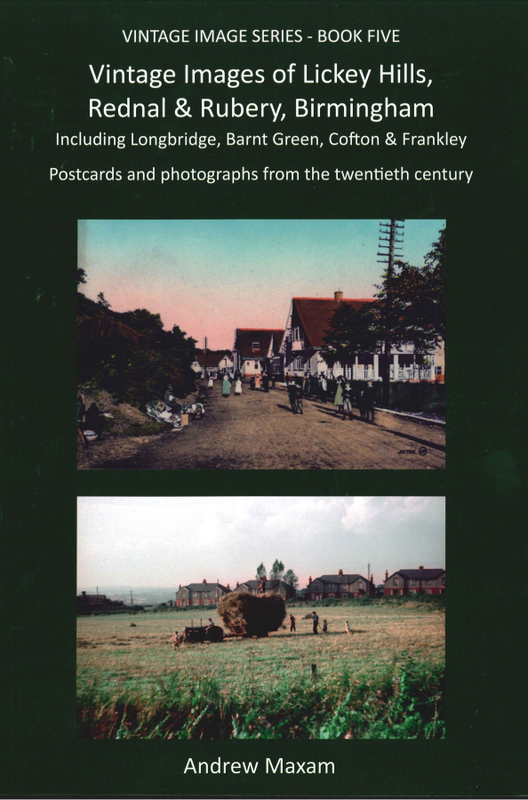 This book, with its collection of old postcards, gives a glimpse of what the area was like in the early twentieth century, during the heyday of postcard sending and collecting. Many of these postcards were produced by unidentified publishers, but where known the publisher has been indicated in the caption. 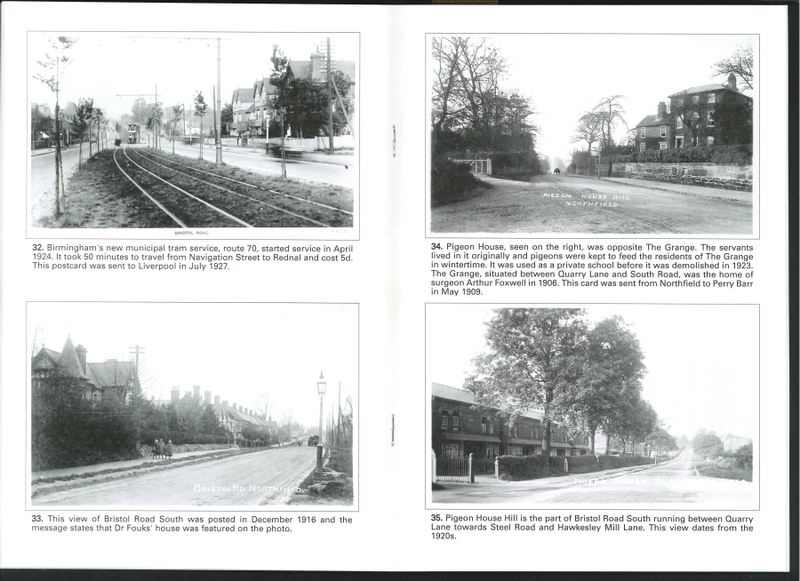 Featuring 71 black and white postcards images, each with informative local detail. Published (2006) by 'Reflections of a Bygone Age', Keyworth, Nottingham.